There’s no question about the quality of Calgary’s steak, or even its burgers, but its poutine? The Quebecois dish doesn’t exactly have a long tradition in Cowtown, but a handful of spots are offering up a take on the dish that could stand up to anything in the land. Here, Calgary’s finest plates of poutine. The kitchen approaches poutine with confidence and gusto, throwing everything but the kitchen sink on thin, shoe-string fries. Pork chops, caramelized onions, ground beef, and fried egg are standouts on a list of 12 toppings – plus cheese curds and rich homemade gravy, which, of course, come standard. $6.95. 607 11 Ave. SW, 403-233-2433. Kansas City ribs and brisket overshadow poutine at this smokehouse, but Palamino’s “big mess,” made with fresh-cut fries, is a gem. Traditional squeaky cheese offers authenticity, and gravy brings the zing, but the clincher here is the smoked pulled pork topping. $13. 109 7 Ave. SW, 403-532-1911. Cheese lovers will gorge themselves on the super-cheesy thick-cut fries here, though those seeking authentic curds will be disappointed. The gravy’s also solid, and the atmosphere is lively, making the Beagle the best spot in town to watch the game with poutine and pint in hand. $8.95. 410 14th St. NW, 403-283-6678. Nestled among suburban big box stores, this Canadian outpost of the Californian chain channels a 1950s diner feel. Fries are crisp, gravy is flavourful, and curds are replaced with finely shaved cheddar cheese, which disappoints purists, but delights gluttons. $5.27. 33 Heritage Meadows Way SE, 403-255-1144. Image courtesy of CC Chapman on Flickr. I have been back in Calgary for a month, after being in Ontario and enjoying the best poutines out there. To see this review… makes my heart melt like the curds of cheese beneth gravy. I will be trying each and everyone of these places after i wipe the drool off my keyboard!!! In all of these cases,These are not authentic poutines. First off, I have never had real cheese curds in calgary. I’ve had the mild cheddar/ mozzarella shaped cheese curds that aren’t real cheese curds. They aren’t even made in Quebec or Ontario and it’s obvious by the taste. Real poutines, have real cheese curds and thick homemade fries. Anyone that’s had a real poutine knows that Calgary just doesn’t seem to cut it when it comes to Poutines. Hopefully the new place called The Big Cheese poutinerie can actually make real poutines!!!!! Who would ever pay 13 dollars for a poutine? They should never be over 6 bucks! i know what your saying i lived in ontario and there is no poutine out here in calgary that could ever top ontarios its so sad, and for one everyone is saying that kings of subs poutines in temple drive are good. i defently disagree i did not like it at all, but i guess when i go back home this summer i will have to eat as many as i can lol gotta love back east. I can’t believe that no one has mentioned “Alberta King of Subs” in the NE of Calgary. Only large trendy restaurants have been listed and it’s a shame that this tiny gem, frequented by Francophones no less whenever I stop in, is perhaps an after thought. 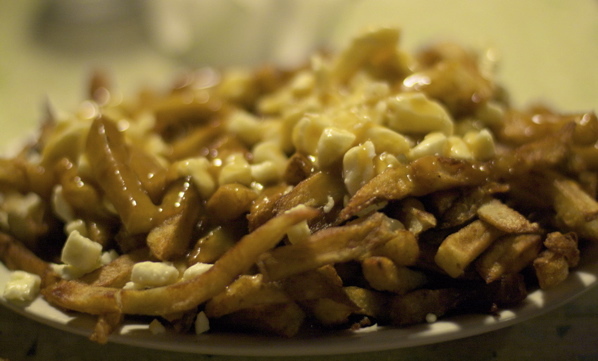 The place is a tiny bit of a greasy spoon, but what could be more authenticating about poutine. They have smoked meat as well, and even “import” spruce beer pop, and labatts from out east. my husband and I are from Montreal and so far the closest thing to “real” poutine I have had here is Alberta King of Sub. The smoked meat is prepared well too depending on who is cutting it when you go in. We live in the far NW but when we’re homesick we head there for a poutine and a co-star sub just like Mike’s.